Dental implants helps people who are missing one or more teeth regain the full function of their mouths. Implant dentistry is the most advanced, most effective approach to modern-day tooth replacement. Implants provide realistic-looking, permanent prosthetics to replace your missing teeth. They also help maintain the health of your jawbone. 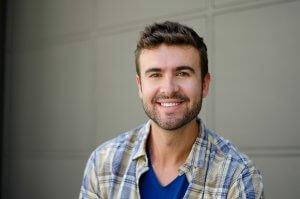 If you have missing teeth, you should talk to an oral surgeon to see if you are a good candidate for implants. Before you decide on dental implants, you should consult with Dr. Mohammad Erakat. In order for implants to be successful, they must heal thoroughly, and the bone must bond to the titanium roots so your new teeth will remain stationary and stable in your mouth. This healing process, as well as the bonding process, must be successful for your implants to be successful. As a patient in our office we can help determine what you can do to increase your chances of successful healing after implant dentistry. If you are in overall good health and have no major problems with your dental health, implants will be a good choice. Having implants placed usually requires two procedures. First, you will have the implants set into your jawbone. These need time to heal. During this healing time, the bone bonds to the titanium in the implants. If this bonding process, called osseointegration, is successful, your prosthetic teeth can be attached to the implants to give you a natural-looking smile and teeth that will not move, shift, or fall out. To find out if you are a candidate for dental implants, please call Prestige Oral Surgery for a consultation at 732-297-7000.